Fixing your moisture-affected flooring requires two steps: stopping the leak and repairing your floors. Here’s a quick how-to to help you tackle both projects — and avoid the same problem in the future. 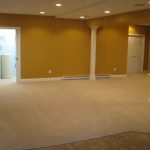 Your home’s subflooring is the foundation that supports your finished flooring. 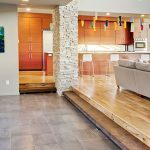 Because your subfloor is closer to your home’s plumbing and more vulnerable to groundwater than your finished flooring, moisture buildup in your subfloor isn’t uncommon. 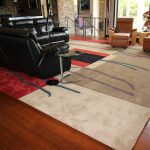 If you notice the telltale signs of wet flooring — warping, molding or buckling — it’s time to investigate your subfloor. Broken/leaking pipes: Weather and age can take their toll on pipes near your subfloor. Contact a plumbing professional immediately if you notice any leaking pipes. 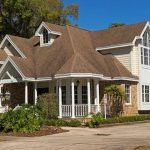 Ground Water: Ground water can come through your foundation or from outside your home. If you’re not exactly sure of the source of your ground water, contact a pro. Once you (or your pro) have tackled the leak, place fans in your crawlspace to begin drying out the subfloor and the hardwood above it. Also, consider adding waterproofing materials to your subflooring to eliminate future leaks. 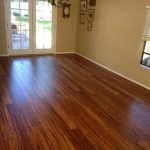 Hardwood is the most salvageable type of flooring. 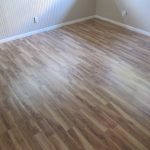 A quick sand and refinish will hide any signs of water damage. 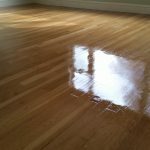 Before you refinish your hardwood, it’s critical that your floors are completely dry — sanding wet hardwood will ruin your floors. 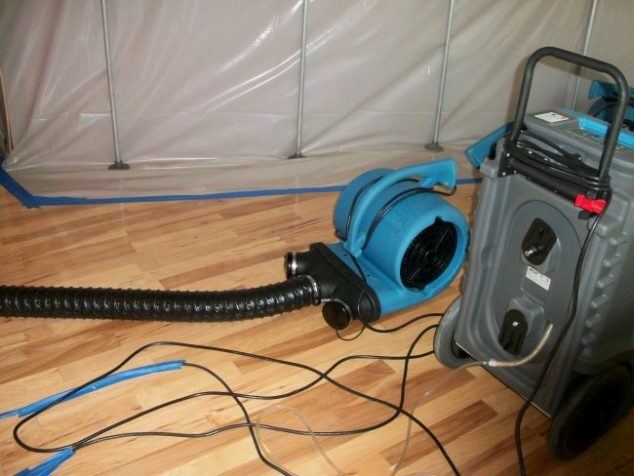 Engineered wood and laminate, while cheaper than solid wood flooring, are much more susceptible to water damage. 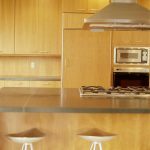 Engineered wood and laminate can’t be refinished like hardwood. If you’ve experienced water damage with either of these materials, replace the impacted area completely. 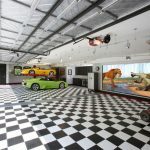 Once you’ve decided whether to refinish or replace, contact a flooring professional to tackle the job.